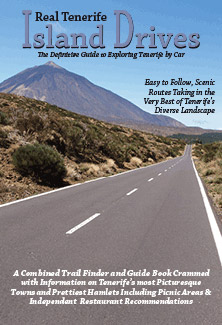 The truth is that in the past couple of months we haven’t managed to walk a lot on Tenerife. 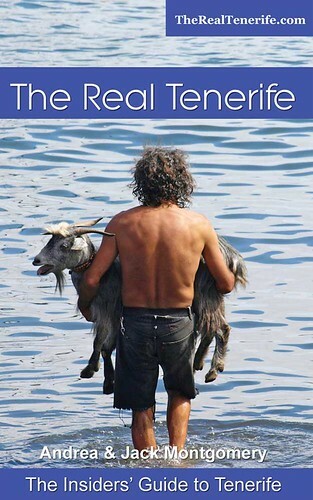 We’ve explored secret lakes on La Gomera, trekked to cheese-making shepherds’ cottages in the Picos de Europa in Asturias, explored coastal paths leading to sandy coves in Costa Brava and spent days hiking through the dry volcanic landscapes of Lanzarote…so Tenerife has taken a back seat. In between exploring pastures new we did manage to get in one coastal walk on Tenerife. It was pretty essential preparation for four days of walking on Lanzarote as the world beating cuisine we’d eaten in Costa Brava had expanded bellies to stomach bursting proportions. There are plans to create a coastal path that links much of the north west coast of Tenerife but for the moment walkers can only experience individual sections. We’re fortunate enough to have one of the nicest outside our front door. 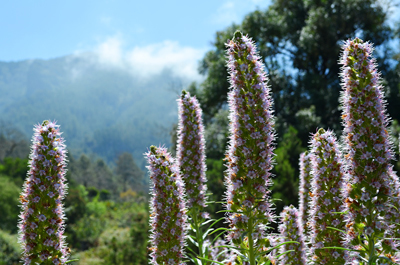 We’ve written a number of times about routes through the banana plantations; however, the reality is that there are so many different paths that you could fill a walking guidebook trying to describe them all. 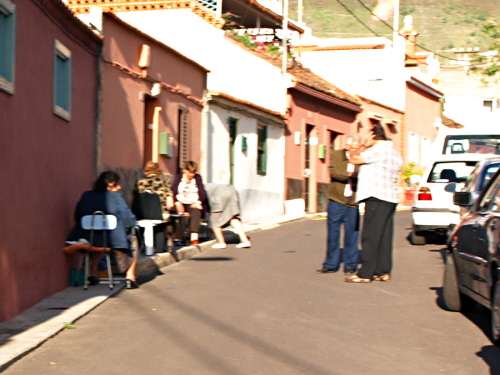 Each offers something different, little things that illustrate the character and soul that is part of what we call the real Tenerife. Our last route took us through the small hamlet at Rechazos where every Sunday evening a handful of local women gather to play a very community oriented version of bingo – eyes stayed down as we passed by as mouths whispered hola & adios whilst trying not lose concentration. Along the way huge presas Canarias (mastiffs) livened up their day by barking furiously, their wagging bottoms betraying that it was all just a bit of fun. For a change from our normal route we followed a direct route to Playa Ancon (the signpost that points the way down the easy-to-overlook track had mysteriously disappeared since the last time we passed). 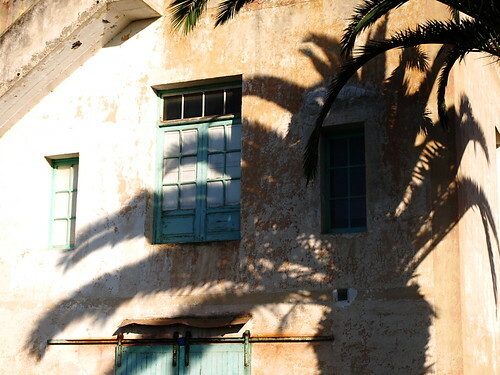 A narrow track wound downwards to the coast, passing small cottages with bleached woodwork window and door frames and peeling plaster walls decorated by the shadows of palm trees that added a distinctly Caribbean aspect. Behind us Mount Teide, still with a spattering of snow on its northern face, reminded us why this valley is quite an incredible place to live. 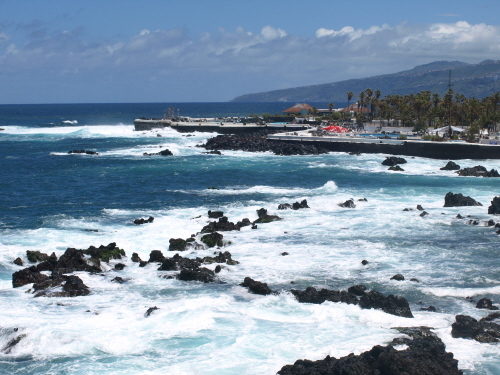 Eventually we reached a road that linked our path with the main route towards Playa Bollullo and Playa de los Patos – two of the trio of beaches that make up three of the most spectacular beaches on Tenerife. There’s a curious thing about these three beaches that only people who visit them will discover. It’s almost impossible to access all three from the one point even though they lie in a row. To reach Playa Bollullo, the most developed of the three as it has a bar and a toilet (of sorts), you follow one path. It’s no stroll in the park if you’re not fit as it snakes down the cliff (okay on the way down, more taxing on the return trip). To reach Playa de los Patos involves more of a scrabble along the same path above Bollullo followed by a quite nervy descent to the long sweeping beach. 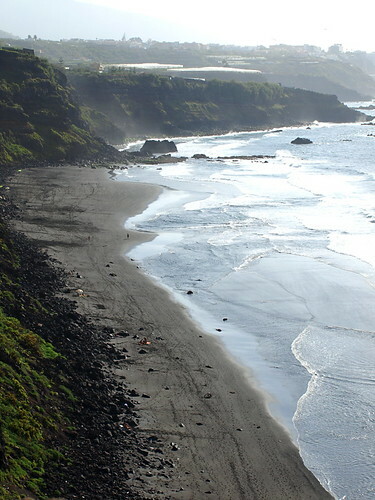 To reach the third, Playa del Ancón, involves going a different route altogether as it’s separated from Playa de los Patos by near vertical cliffs. 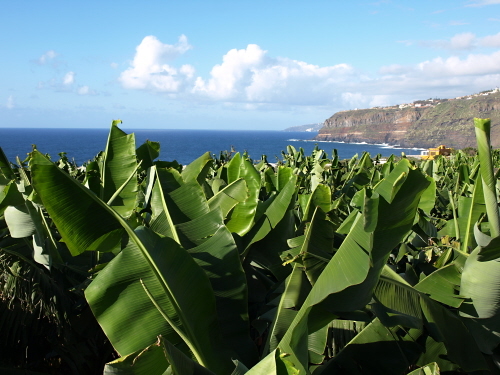 The path we followed led us to what seems like a dead end at a metal gate to one of the plantations, but the narrowest of entrances to the left of the gate descends steeply between the banana plants to a viewpoint and path teasingly located above Playa de los Patos. I say teasingly because the cliff top path runs three quarters of the length of this lovely long beach and yet there’s no way of getting to it…except maybe by abseiling. Our goal lay at the very end of the path, Playa del Ancón, hidden from view and unseen by most visitors and residents because of the effort required to find it. As the low evening sun turned the sea silver we basked in its rays listening to the soothing sound of the surf crashing against the sand of this natural hidden beauty spot. 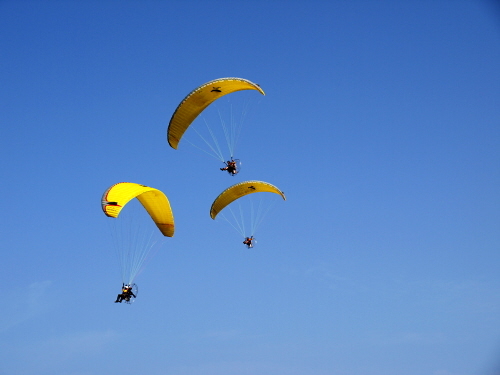 It would have been exquisitely relaxing apart from one thing…the return trip had to be done and, to paraphrase the words of the song, the only way was up. Still, it sorted out the leg muscles for the Lanzarote trip. 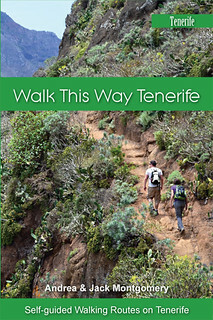 To experience the best of walking on Tenerife why not try our walking guides.